Brown bears have a muscular shoulder hump, which allows them to dig up roots and rocky ground to build dens and tear apart logs to find food. 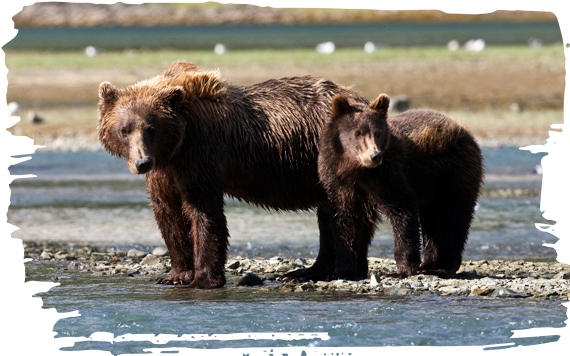 Subspecies of brown bear include the Kodiak bear, the Eurasian brown bear and the grizzly bear. Worldwide brown bear populations are fairly large, however, localised populations are fragmented and decreasing due to habitat loss, human conflict and hunting. Bears are inquisitive and opportunistic and suffer in captive situations, such as zoos and circuses, displaying abnormal behaviours including bar-biting, swaying from side to side and even self-mutilation. Funds from your adoption will help provide the lifetime care and protection for rescued bears at the Arcturos Environmental Centre and Bear Sanctuary in Greece. 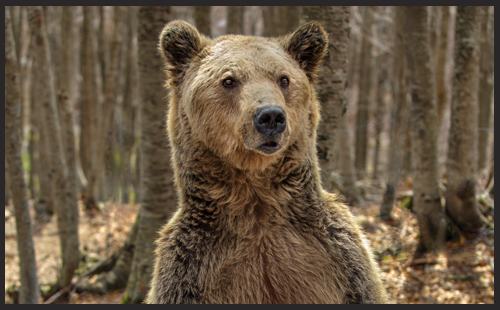 You can help povide care and protection for brown bears by adopting Kyriakos below. Kyriakos is a brown bear who lives at Arcturos Sanctuary in Greece. He was orphaned when only four months old and would have had very little chance of survival without his mother. Help us provide the care he needs.